It’s no surprise that marketing a landscaping company is no easy task. The reality is that a lot of landscaping companies operate on the market these days. It’s worth noting that each of these companies has its own repeat clients who use landscaping services on a regular business. That means that you’ll definitely face severe competition if you choose to promote a landscaping company and try to attract the target audience to your new business. Obviously, you need to make a difference as a provider of landscaping services and do every single thing possible to stand out from the crowd. And of course, you have to develop an effective marketing strategy for your landscaping company that works. TLDR; If you are looking for marketing help with your landscaping company, click here. 1 In this article, you’ll be able to find some of the best ideas for marketing landscaping companies. 1.9.1 Do you need help with marketing a landscaping company? In this article, you’ll be able to find some of the best ideas for marketing landscaping companies. It’s incredibly important for you to target the right customers when promoting a landscaping company. Otherwise, you’ll just waste both your time and money. First and foremost, you need to figure out who are going to use your landscaping services in the future. The big question is – who is an ideal client for a landscaping business? Let’s try to get the answer right now! It’s pretty clear that landscaping is the type of work that requires certain knowledge, skills, experience as well as equipment and tools. On the other hand, this process is time-consuming. That means that it will definitely take a homeowner too much time if he/she chooses to take care of your lawn on your own. It’s fair to say that busy homeowners are ideal customers for a landscaping company. So, landscaping companies should definitely target homeowners who don’t have time to maintain their lawns in a good condition. We all know that people tend to improve the exterior of their homes when they are going to sell their properties. Property sellers are likely to decide to make use of landscaping services prior to scheduling real estate showings. And of course, property sellers fall to the category of ideal customers for landscaping companies. Realtors as well as builders are involved in the process of selling properties. That’s the reason why it makes a lot of sense for landscaping companies to create partnership with real estate agents and builders who operate in their area. They can refer a lot of prospects to a landscaping business. However, the most important thing is that landscaping business owners don’t have to pay anything for advertising their services if they choose to get customers this way. It’s widely known that landscaping businesses are usually very busy and have a lot of work to do between spring and fall. Obviously, landscaping companies can’t spend too much time on marketing a business during the busy season. Traditionally, providers of landscaping services are focused on work with their own customers starting in the spring and till the fall. That’s why it would be great for a landscaping company to start marketing its services ahead of time. If you decide to promote your landscaping business beforehand, lots of people are likely to remember your brand. And of course, they will contact your landscaping company when such a need arises. It’s a great idea for landscaping businesses to start advertising campaigns before the busy season. You’ll definitely find it difficult to promote a landscaping startup without a website. However, you need to develop the right type of a site for a landscaping business. What type of a website does your landscaping business need? Now, it’s time to get the answer to this important question. Once visitors come to your landscaping business site, you need to impress them. There is no better way to do this than to show them photos of your landscaping works. All of this means that you need to build a website with a portfolio. Make sure that your landscaping business website portfolio contains photos of your best works. It’s worth noting that a portfolio is something that helps landscaping business owners turn prospects into real clients effectively. If you impress your site’s visitors with your portfolio, they are likely to become your customers in the future. A website will work well for your landscaping company only if you promote your business site in an efficient way. You need to know that a lot of people choose to use search engines (Google, Bing, Yahoo and others) to find landscaping companies. That’s why search engine optimization is one of the best ways to promote landscaping businesses online these days. That means that you should focus on improving your site’s SEO. Your job is to get the most out of search engine optimization. It’s pretty clear that landscaping companies provide their services only in certain areas. Therefore, it would be nice for you to take advantage of local SEO to attract the right people to your landscaping business site. Local SEO is all about optimizing site’s web pages for local keywords. Local SEO has many great benefits for landscaping business marketing. It’s important to know that local keywords are low competition keywords. So, it would be easier for you to achieve top search engine rankings if your web pages are optimized for local keywords. Another big advantage of local SEO is that local search traffic converts well. That means that you’ll not find it hard to convert your site’s traffic into customers and sales if you take advantage of local SEO. It’s a good idea to get a landscaping business listed on such popular sites as Yelp, Home Advisor, Porch and many others. Actually, the list of popular listing sites could go on and on. Keep in mind that your landscaping business can benefit from popular listing sites in many ways. 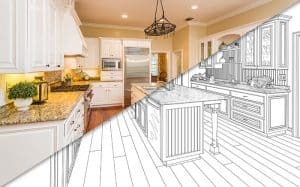 Online platforms like these ones give local home improvement professionals an opportunity to connect with homeowners. On the other hand, listing sites like these ones make it possible for landscaping business owners to get quality backlinks for their sites. It’s worth noting that backlinks of this type will definitely have a profound positive impact on your search engine rankings. Finally, your site will rank higher in search engines. Above all, you can get a lot of positive reviews on popular listing sites and, of course, this will help you increase your brand awareness dramatically. Popular social media platforms such as Facebook, Twitter, Instagram, and many others provide landscaping business owners with a huge marketing potential and there is no question about this. Each of these social media sites has people, who can be interested in the services provided by your landscaping company. In fact, there are two ways to promote a landscaping business on social media sites. You can either update your landing company’s social media profiles with fresh content on a regular basis or take advantage of paid ads. On way or another, you’ll be able to get more followers, likes and comments for your content on social media sites. However, the most important thing is that social media platforms will drive customers to your landscaping business. Another important thing that you need to be aware of is that popular social media platforms can be a powerful brand development tool for your landscaping business. If you develop an effective social media strategy for your landscaping company, your brand will definitely become more popular over time. Actually, a marketing technique of this type works very well for different types of business and a landscaping startup is no exception. Without a doubt, you’ll find it easy to attract new customers to your new business if you offer landscaping services at low price at the beginning. If things with your landscaping business go well, your customer base will grow over time. As a result, you’ll get a great opportunity to increase your service price and earn more. Let’s assume that you’ve already landed new customers to your new landscaping business. Now, your job is to turn your new clients into repeat ones. In other words, you need to get customers who will contact you again and again and use your landscaping services on a regular basis. Once you attract new customers to your landscaping company, you need to remind them about your business. It would be nice for you to send emails to your prospects and clients from time to time. You can keep them up-to-date on the latest landscaping company’s news and events which are happening in your industry. Do your offer discounts, promo codes or specials to your prospects or clients? If so, we would recommend you to make use of email marketing to inform your subscribers about this fast and easy. There is no doubt that email marketing will help you get more repeat customers and contribute greatly to the success of your business. Some people believe that business cards are out-of-date marketing technique that doesn’t work anymore. Apparently, that’s not the truth. The reality is business cards work very well and can do great job for different types of businesses and you can use it to market a landscaping company. That means that you should use business cards to promote a landscaping company. First and foremost, you need to create beautiful business cards for your business. Make sure that your business cards contain a logo as well as the correct contact information (email, phone number and address) of your landscaping company. After that, you need to give your business cards to your prospects, existing clients and anyone, who is interested in your landscaping services. Business cards will help you remind your prospects as well as existing customers about your landscaping business. People are very selective when it comes to picking a landscaping company. They tend to check customer reviews of landscaping businesses and try to make the best possible choice. That’s why it’s incredibly important for a landscaping company to get a lot of positive customer reviews and build a solid reputation on the market at the very beginning. Needless to say that you should aim to provide your customers with landscaping services of high quality. And of course, you have to be committed to the best possible customer experience. You should do every single thing possible to achieve customer satisfaction. If homeowners are happy with landscaping services provided by your company, then they would be happy to leave a positive feedback about your business and recommend your services to others. On the other hand, you need to know how to deal with negative customer reviews. If someone leaves a bad feedback about your landscaping business, then you should try to figure out what things make your customer unhappy. Plus, you need to take into consideration the opinions of your unhappy customers and make changes to your business as soon as possible. It’s crucial for you to reply to all of feedbacks left by your customers about your business. By doing so, you’ll be able to show people that you are serious about your landscaping business and you take care of your customers. Do you need help with marketing a landscaping company? Or, maybe, you would like to learn more about how to use marketing services to grow your business? Contact us right away! Bear in mind that Finepoint Design offers a full range of marketing services for a landscaping company. We have huge experience in marketing landscaping companies and other types of businesses. Our marketing experts offer cost-effective solutions for any of your landscaping company’s marketing needs.